In just this past week, we’ve seen two separate incidents of armed teenagers attempting to rob concealed carriers — only for it to end tragically. The first incident occurred in Norfolk, Virginia, where a teenager attempted to rob a pizza delivery driver at gunpoint. The driver pulled his firearm and shot the teenager. 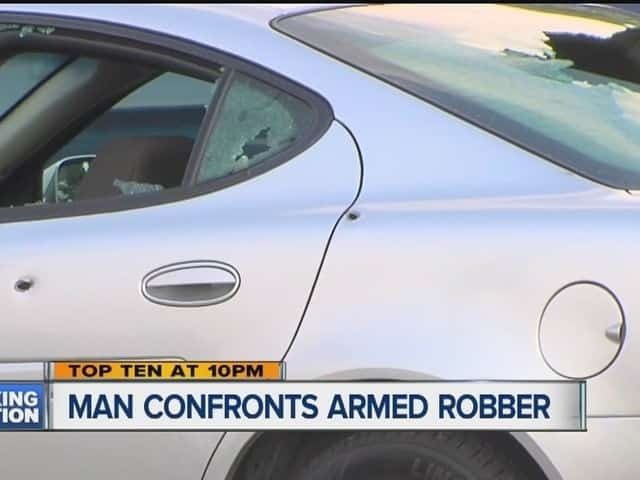 In another case in Detroit, a teenager tried to rob a man of his sunglasses while he was parked in his vehicle. That man was a concealed carrier and likewise shot the teen. Both teens used firearms in the commission of a crime. In both cases, they went after someone they thought they had a reasonable chance of overtaking through force. In both incidents, they were wrong. Thankfully, both teenagers will live — albeit them being charged as adults vice juveniles has yet to be determined. We’re seeing kids making the big adult step into using guns as instruments of power. And because many of those kids don’t understand how those firearms work — they wind up in the line of fire themselves. As concealed carriers, our only job is to protect ourselves, our family, and our property from deadly attack. But time and time again, we’re seeing these concealed carriers pitted up against not your usual suspects. Plenty of people can develop a mental preparedness necessary to put rounds on a paper target – but what about an adolescent? In the Detroit incident, the concealed carrier discussed it pretty matter of factly. The Norfolk case was even a bit less descript – with the pizza deliver driver having no comment on the issue altogether. Even as the gun control debate rages on in the background, we’re dealing with an even bigger problem: no regard for human life. It’s hard to grab specific statistics stating definitively with an increased amount of violence used by teenagers and adolescents in the committing felonious robberies, assaults, and burglaries — but we’re sure seeing a notable spike in attention given to these subjects. For those who refuse to become participants in the concealed carry debate – citing they’d prefer to ignore the problem or wait for police – we’re seeing that their attackers have absolutely no such reservations. It’s a real danger in both the concealed carry community and those who even staunchly oppose firearms altogether. We try to collectively psychoanalyze the people who attack others. It’s not all high profile mass murder or public shootings – most crime occurs right in vicinity of the home or workplace. “Oh, well, if they rob me – they’ll just take my stuff and leave me alone.” — Wrong. Don’t assume that what you would do is what your attackers will do. A Chinese delivery man was ganged up on and beaten by four teenagers for just the food and cash he had on him. A Virginia Commonwealth University undergraduate student was robbed at gunpoint just for his sandwich. Yes. Yes, it is. These kids don’t care and they aren’t worried about the consequences of their actions. Add firearms – fake or unloaded or loaded or otherwise – and it’s time to face the harsh reality that there are people other there who also have firearms and aren’t afraid to use them judiciously in protecting themselves. So as we see two teenagers go to the hospital in just the past week after botched attempted armed robberies, we know that this isn’t an issue of gun control — it’s an issue of basic human dignity and the complete lack of respect these criminals have for human life. Previous article3 Situations, 3 Concealed Carry Choices — Are You Ready? Luke McCoy is the founder of USA Carry. In 2007, he launched USA Carry to provide concealed carry information and a community for those with concealed carry permits and firearm enthusiasts. USA Carry has been the premier concealed carry website since 2007 providing essential resources such as our Concealed Carry Maps, Concealed Carry Info by State, Firearm Forums as well as Concealed Carry and Firearm-Related articles, reviews, news and more. © 2018 i156 LLC. All Rights Reserved.